Have you considered making a bunch of breakfasts in advance, then freezing them so that you can have a healthy breakfast in next to no time? Its pretty awesome ya know. Because some days I really hate mornings. And getting up to let the chickens out of their cages… then making a healthy breakfast for my kids. I am barely functioning in the mornings, so freezer meal breakfasts rock! 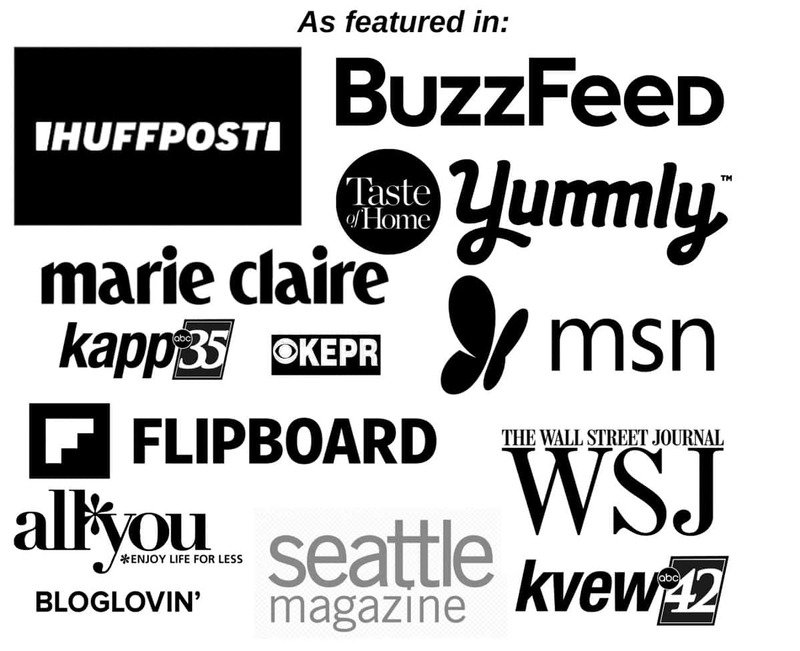 Here are some of the ones I like to use – some of my own recipes as well as others I enjoy making. 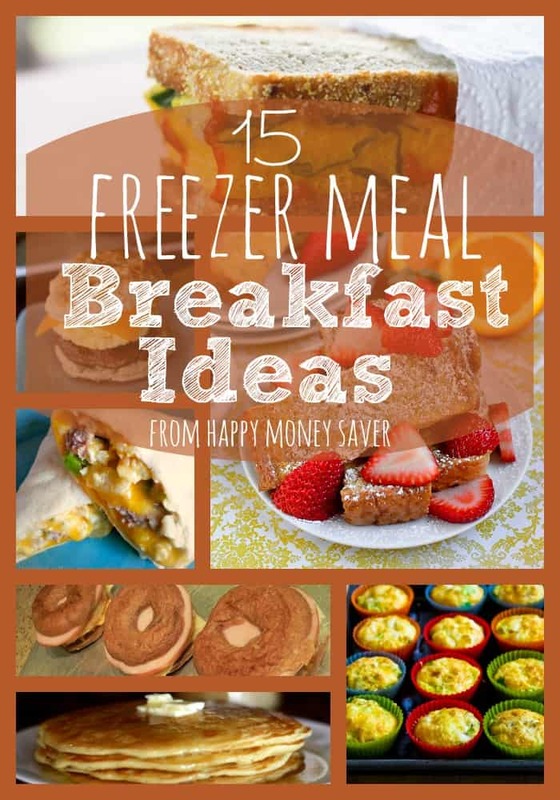 Let me know in the comments below some of your favorite freezer meal breakfast ideas as well! 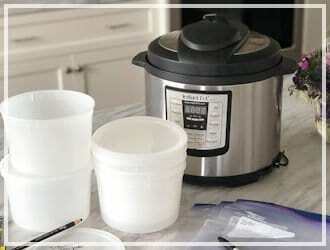 You can also see more of my freezer meals including my 50 Freezer Meals in a Day post here too. 1. Cinnamon Rolls from Good Cheap Eats. 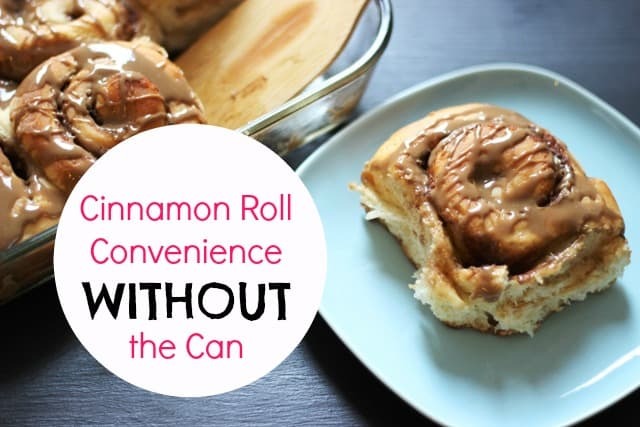 If you love making cinnamon rolls for your family without the can, this is a great idea to have in your freezer! Usually I individually wrap each roll in saran wrap then place them all into a gallon freezer safe bag. 2. 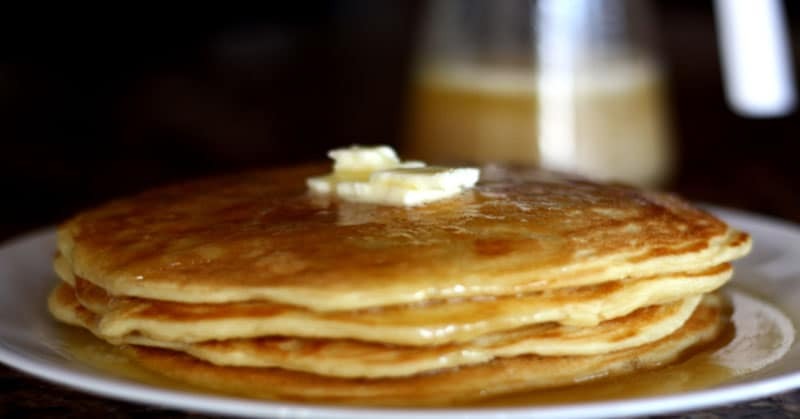 Homemade Buttermilk Pancakes — my own recipe. Pancakes are a great idea for lazy weekend mornings and with these, your time spent making them will be even shorter. 3. 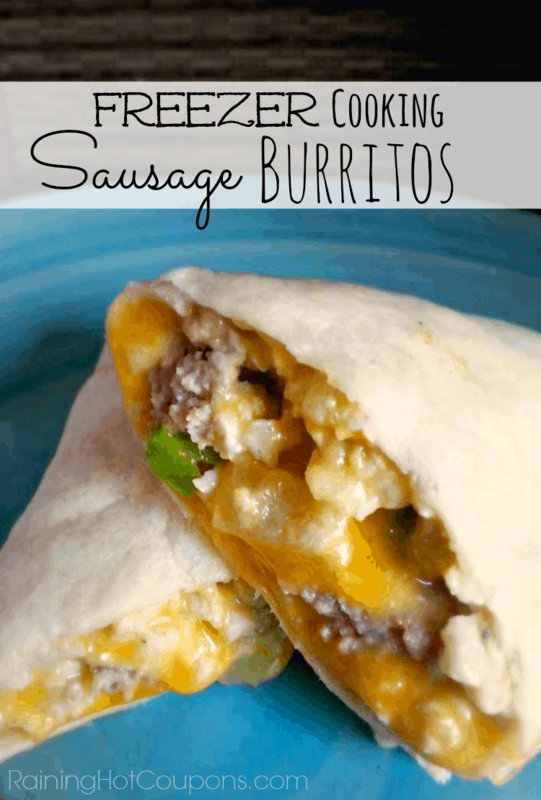 Easy Sausage Breakfast Burritos from Raining Hot Coupons. 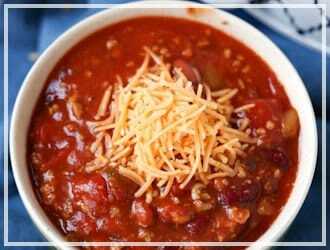 I usually add hashbrowns, eggs, sausage and cheese to mine, but these are great too. 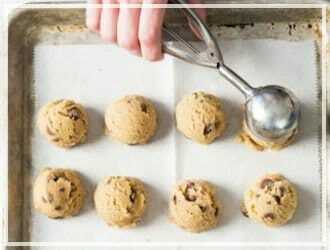 Individually wrap and freeze in gallon size freezer bags. 4. 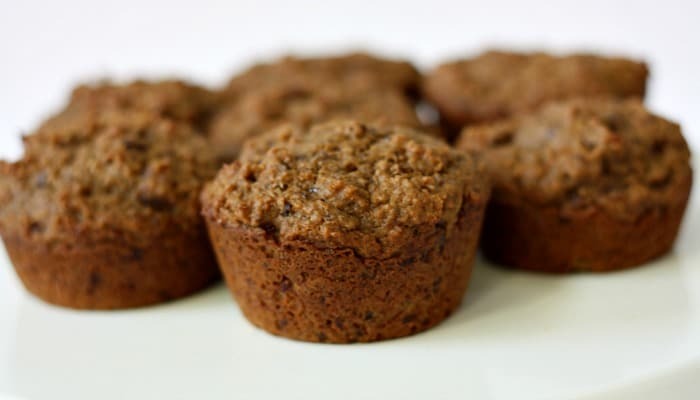 Best Bran Muffins – my recipe. Best Bran Muffin recipe EVAH! And super healthy too. 5. Omelet Breakfast Sandwiches from Finding Joy in My Kitchen. This is a deliciously unique spin on a traditional breakfast sandwich and is really tasty. 6. 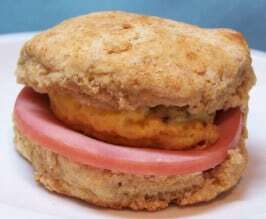 Canadian Bacon, Egg, and Cheese Biscuit from Food.com. Oh yeah. Delish. It’s perfect to pop in the microwave to reheat and go on about your day! 7. Sweet Milk Homemade Waffles from my recipe collection. Waffles don’t have to take forever to make and be only on the weekends! 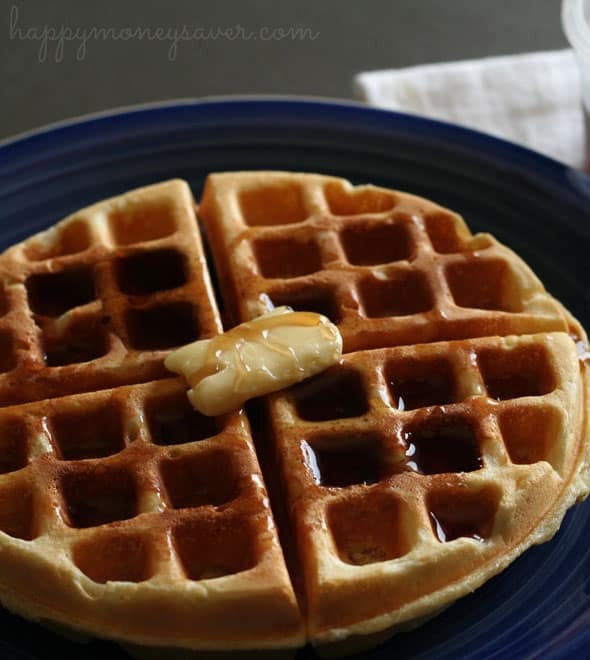 You can have delicious waffles ready to go with this awesome freezer recipe! Details are on the post. 8. 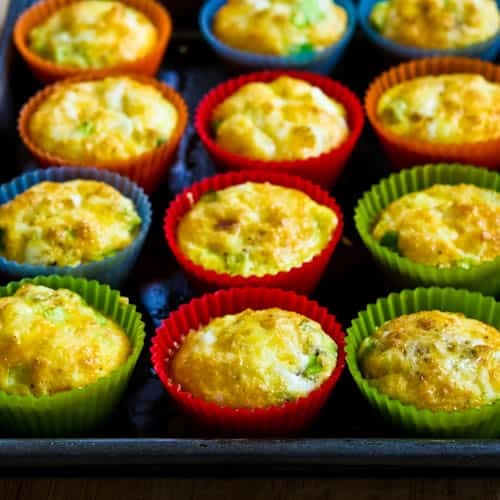 Egg Muffins from Kalyn’s Kitchen. These are a fantastic breakfast idea for something that is filling, delicious, and healthy! My kids love egg muffins. I fill mine with spinach and cheese most of the time. But you can also mix in whatever veggies you like. 9. Breakfast Biscuit Cups from Taste of Home. 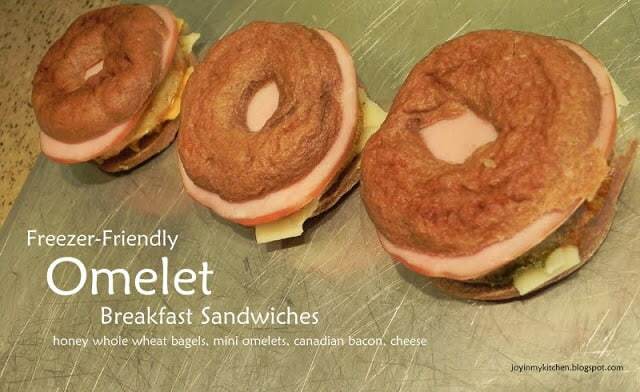 This is a delicious twist on a breakfast sandwich. 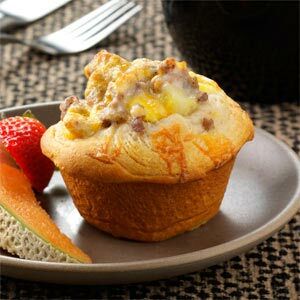 All of your delicious ingredients combined into a muffin sized breakfast! 10. Supreme Spinach and Egg Breakfast Sandwich from Foodie with Family. 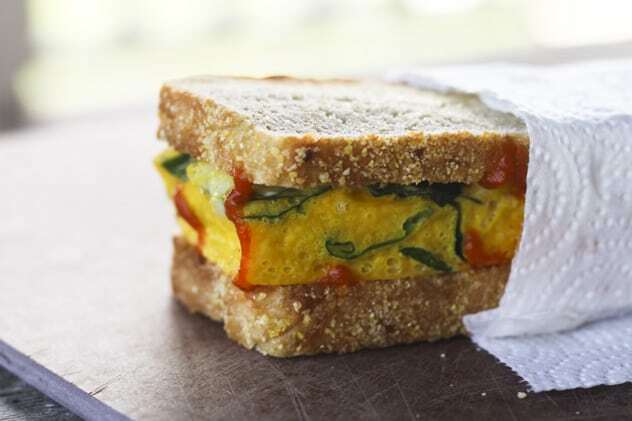 This protein packed breakfast sandwich would be a great start to your day! 11. 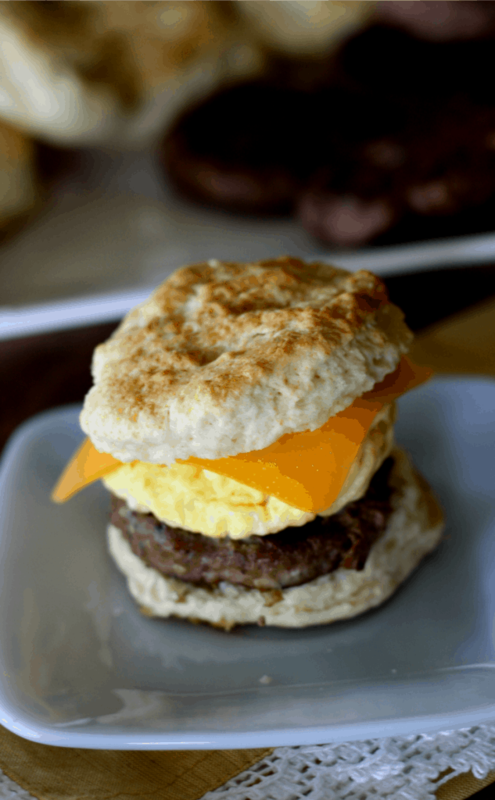 Sausage, Egg, and Cheese Breakfast Biscuits – my own very favorite breakfast sandwich recipe. For all of the sausage lovers our there, this is the perfect hearty breakfast to grab on the go! 12. 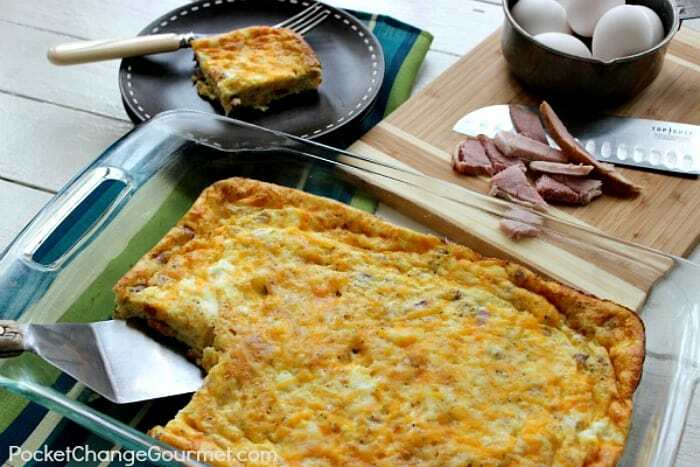 Ham and Egg Casserole from Pocket Change Gourmet. 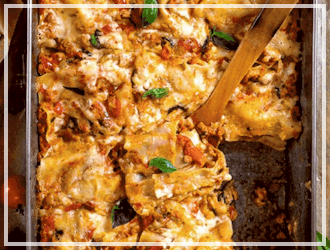 Need a delicious breakfast casserole for your family? 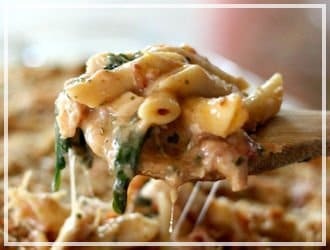 This is a fantastic idea to add to your list of freezer meals! 13. 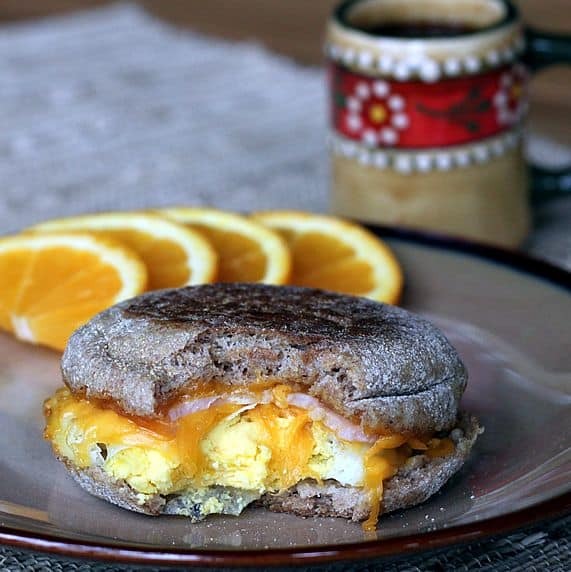 Healthy Egg McMuffin Copycats from The Yummy Life. 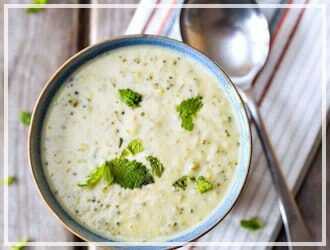 If you enjoy a healthy breakfast, this recipe should certainly be a winner. 14. Baked French Toast Sticks from Iowa Girl Eats. 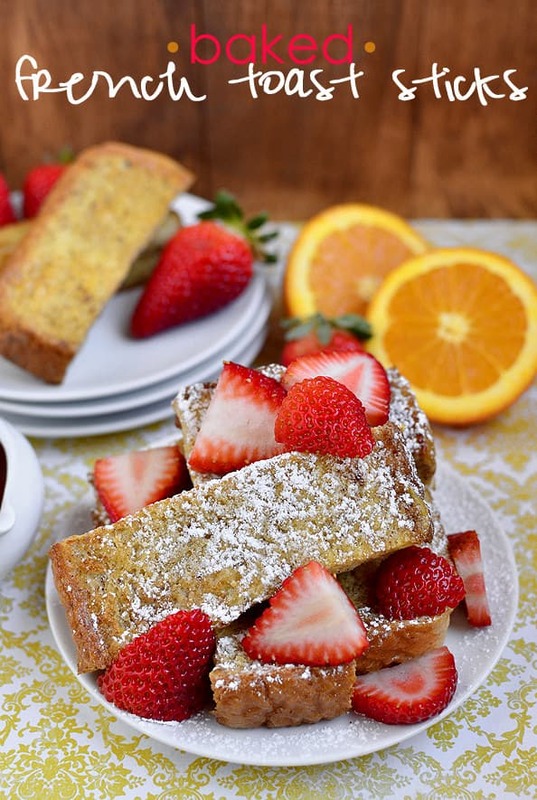 French Toast is always a great breakfast idea and French Toast Sticks are just another delicious way to enjoy this favorite! One of my sons favorite freezer breakfast ideas. 15. Easy Homemade Sausage Patties from me. 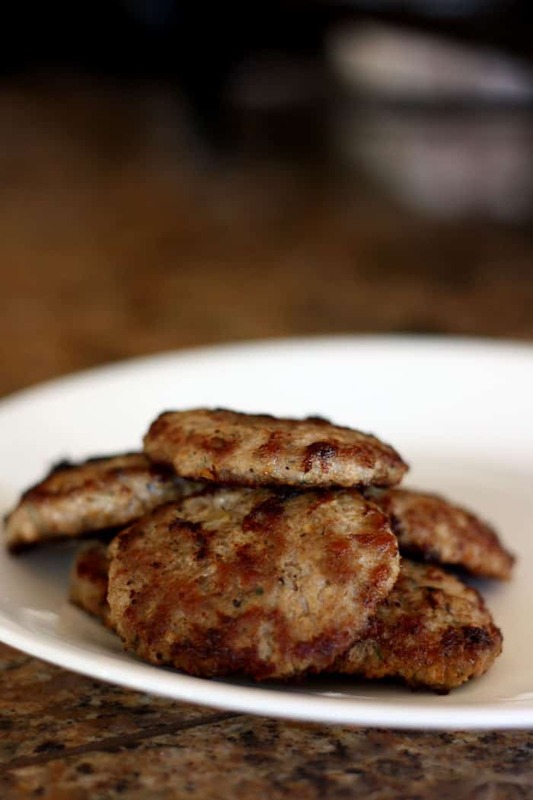 These delicious sausage patties are great served with a side of eggs and fruit! And since they are homemade it only takes about 5 minutes to cook them up! I hope you save some time with your mornings by making freezer meal breakfasts. 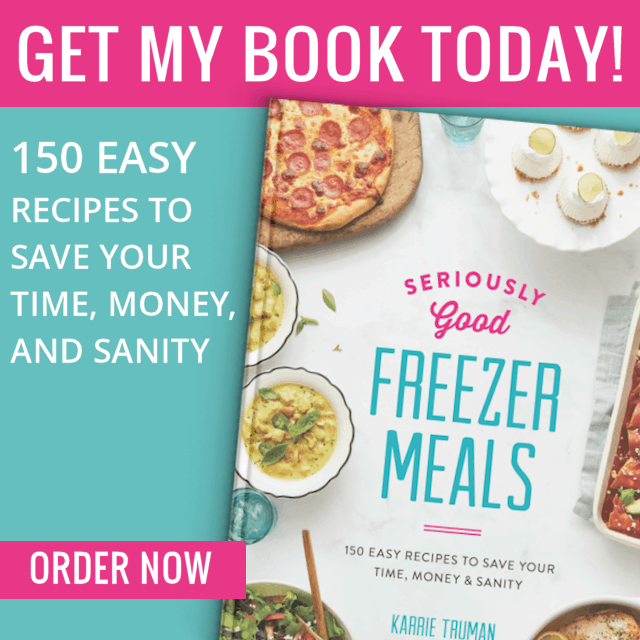 Make sure and check out ALL my FREEZER MEALS as well. How long can it stay in freezer? 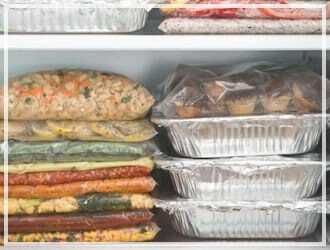 I like to use us my freezer meals before 6 months. These look really tasty and this would help to make mornings a bit easier when needed. 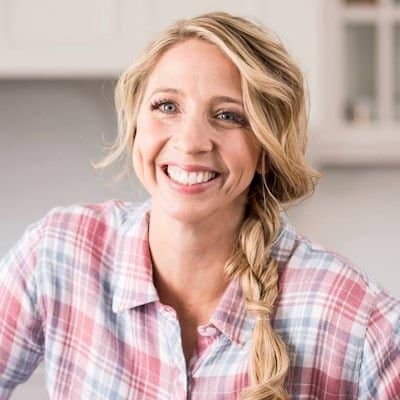 I am always looking for healthy, easy to make breakfast ideas to break up the monotony for my kiddos. These fit the bill! Can’t wait to try them! These look great! I can’t wait to try the burritos! 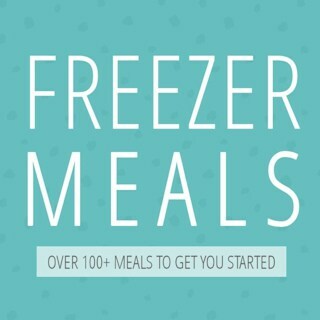 After you started posting all the yummy freezer meals and black friday sales (back then) we got a food saver when they were 50% off and signed up for the email list and got free shipping… then as a new customer got some other stuff free. Then I hopped on here and started drooling. 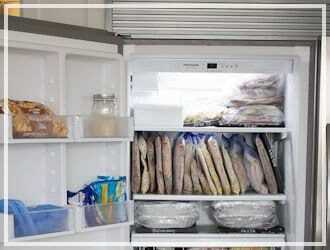 We were inspired and filled our freezer with meals. 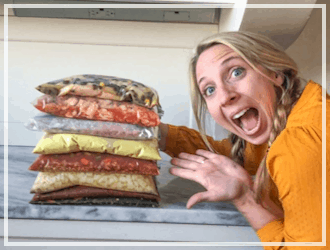 When the freezer was half empty (we are a busy family) we took a weekend and prepped a few more meals and rotated the meals. It has been great to be able to reach in and grab dinner. We haven’t had sausage in a long, long time due to fillers/additives etc. I think this requires me to make biscuits & gravy too.